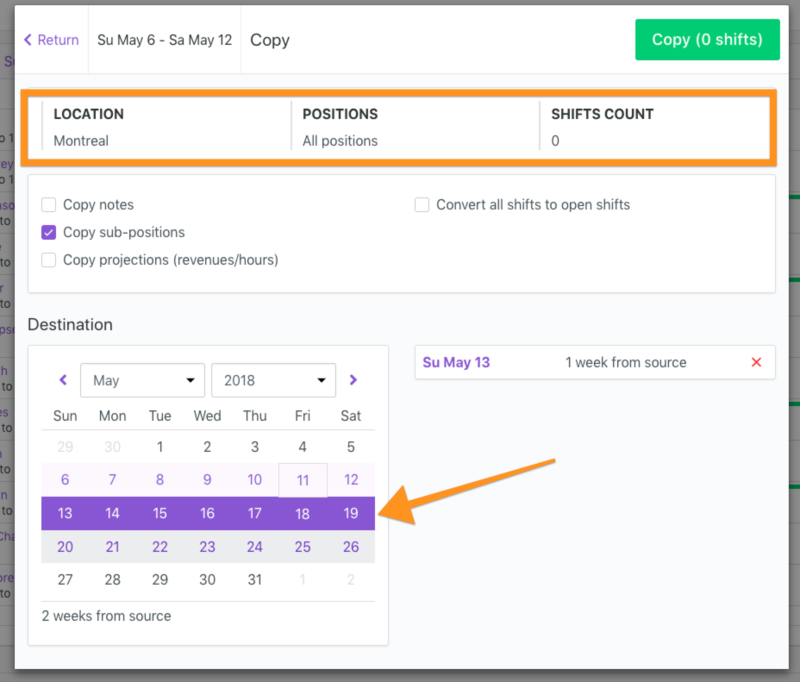 You can copy the schedule you created onto another day, week or month depending on which view you are using in the scheduler (orange square). All you have to do is to click on "Copy" to start the process. Note that when you copy the new schedule will be in draft and won't be automatically published. When you hit "Copy" a destination calendar will show up with different options. On top you will see the location and positions for which you are about to Copy the schedule. You can change these directly in the scheduler by activating filters before copying. 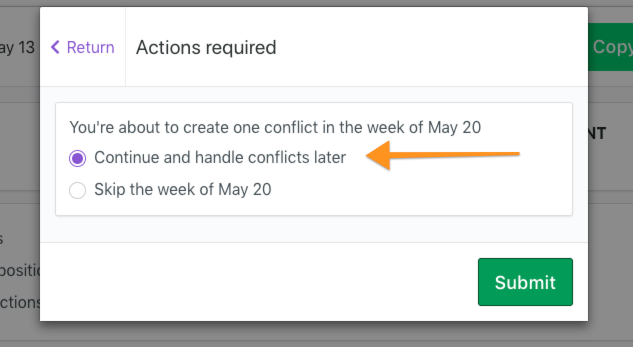 When you copy the schedule onto a future date, you may create conflits (i.e. an employee usually working on Fridays has been granted a time-off next Friday). In these cases, Agendrix will warn you of the upcoming conflict and allow you to handle it later.